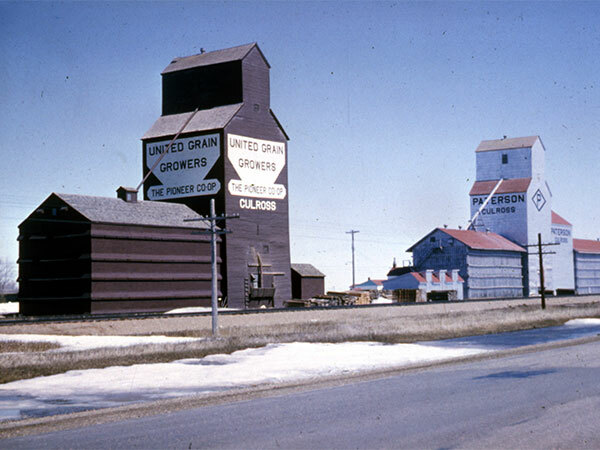 A wooden grain elevator at the railway siding of Culross, on the CPR Glenboro Subdivision in the Rural Municipality of Grey, was operated by Canadian Consolidated Grain until 1959 when it was sold to United Grain Growers. 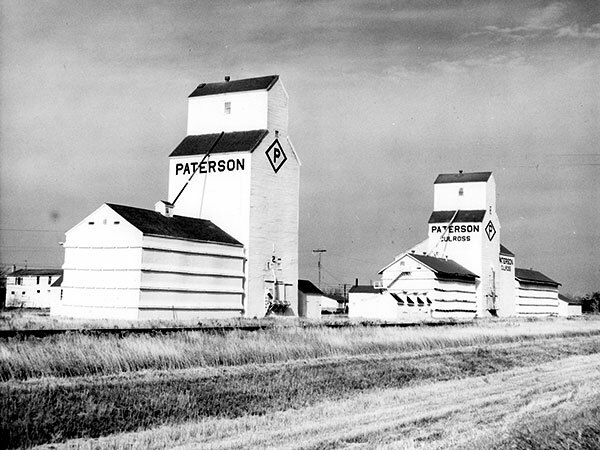 Re-sold to Paterson Grain in September 1969, it was demolished in 1989. Elie-Fannystelle, Box 59, MSS 76, United Grain Growers Fonds, University of Manitoba Archives & Special Collections. We thank Pearl Watson for providing additional information used here.